6 x 12 x 5 inches (L x W x H). 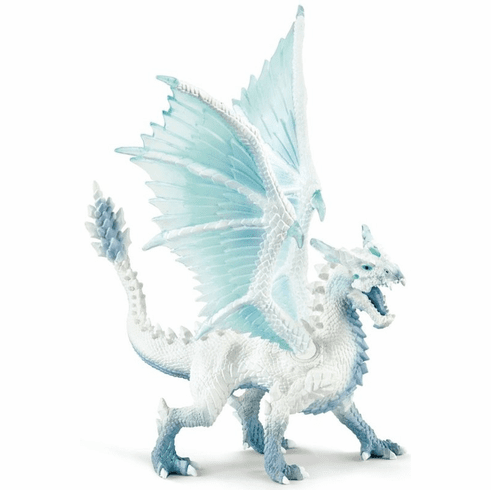 The ice dragon turns his opponents into ice in no time at all: he is a fast and agile flyer who can catch his enemies in the blink of an eye. His wings have dangerous spikes made of ice which he can use to break through even the strongest armour. And one puff of his icy breath is enough to instantly freeze attackers!